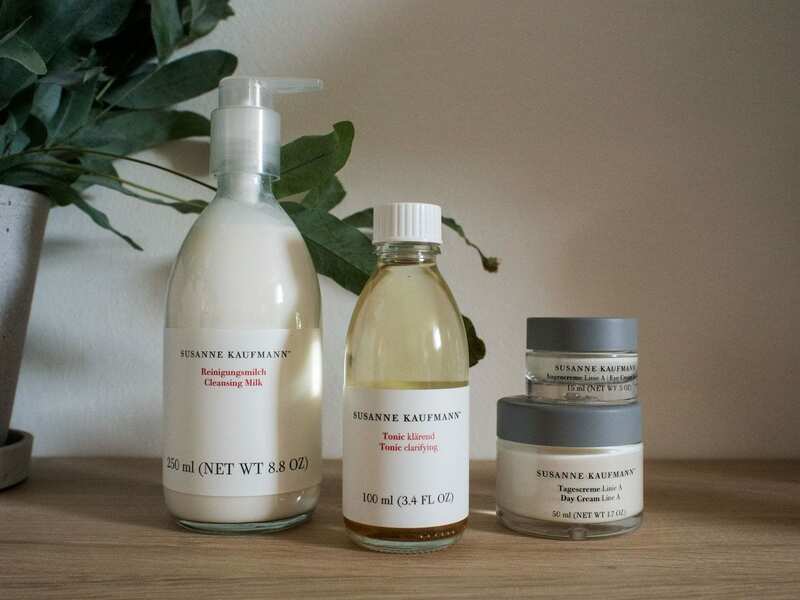 Susanne Kaufmann is without question my favourite skincare brand, their natural products are gentle yet effective on my sensitive skin, whilst also sustainably made. 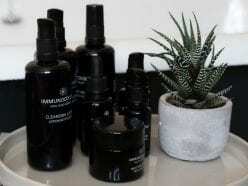 Recently, I was invited to visit them at their Liberty London pop-up to experience their Bespoke Rejuvenating Facial. It’s a new treatment that incorporates a product they recently developed to coincide with their 15th anniversary, the Pollution Skin Defense System. To help me relax Andrea (my skincare therapist) sprayed my pillow and the surrounding air with Pillow Spray Calming. It’s a lovely mist with a soothing scent containing lavender and orange oils. 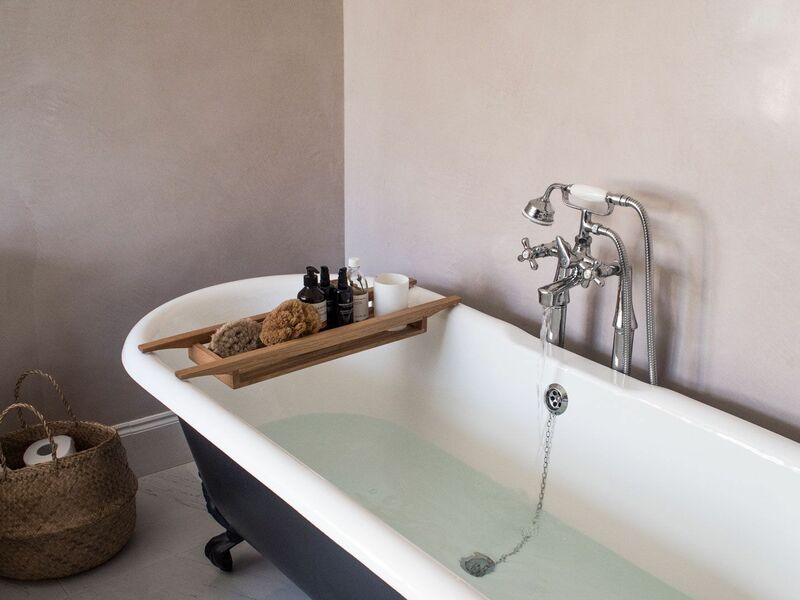 Lavender is well-known for its calming properties whilst orange oil supports the respiratory passages, ensuring you breath well throughout your treatment, important for deep relaxation. 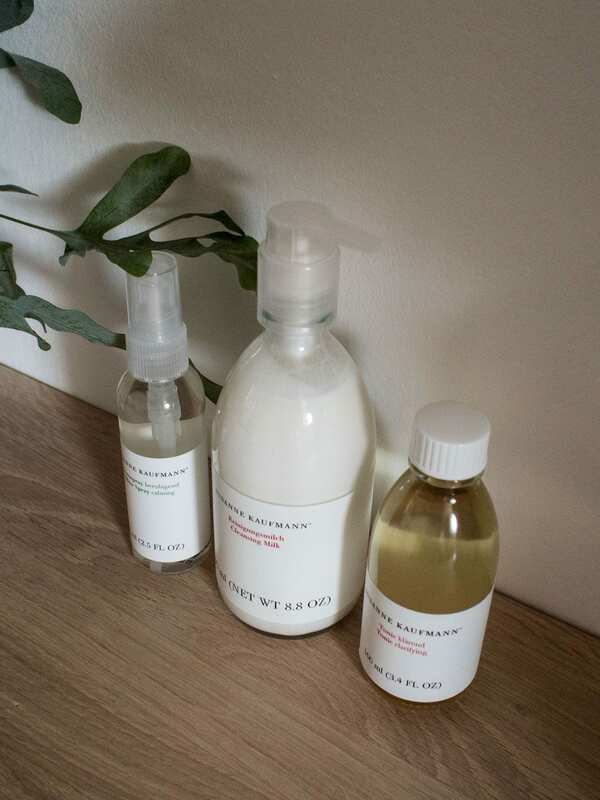 The treatment started with a thorough double cleanse using their Cleansing Milk, the base of which is rose-hip seed oil, which is particularly good for dehydrated skin. It also contains a soothing herbal compound of chamomile, sage and St. John’s wort flowers. 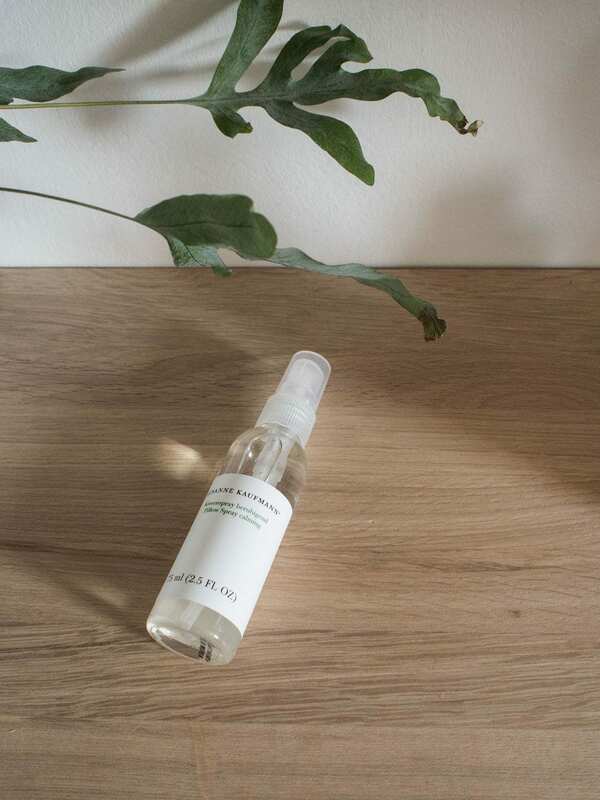 Andrea then applied Tonic Clarifying, a gentle tonic that contains the same herbal compound as the Cleansing Milk but with the addition of mallow. It doesn’t contain any alcohol so won’t strip the skin like some. Once my face and décolletage were feeling lovely and clean, a double peel was applied. This consisted of their Enzyme Peel being applied all over the area, before being layered on top with their Facial Peel. The Enzyme Peel uses gentle fruit acids from apple, papaya and kiwi to remove dead skin cells without any abrasiveness (that can stress to the epidermis); it’s a chemical peel but the gentlest kind. It also contains ectoine, fenugreek and fermented white lupins, they help to regenerate skin cells, as well as having a revitalising and anti-inflammatory effect on the skin. In addition to that, aloe vera cools and soothes the skin. 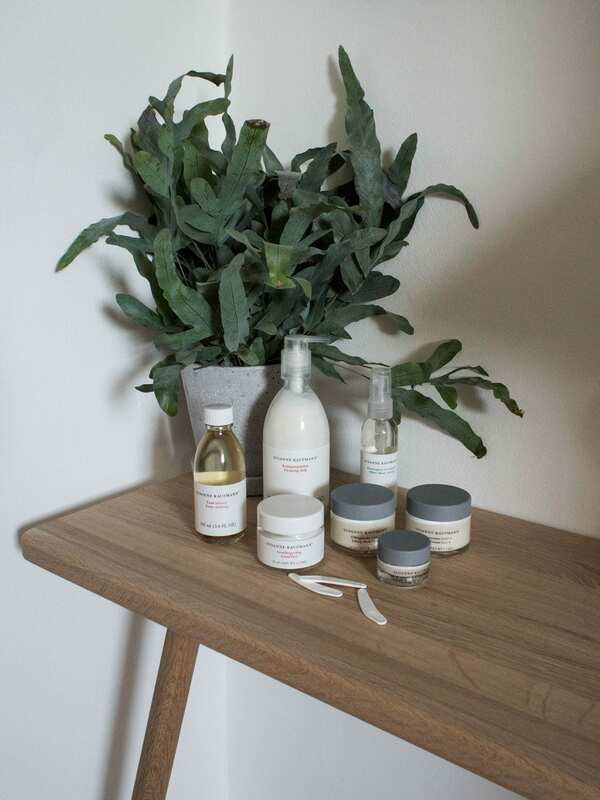 The Facial Peel is a physical peel which uses soft plant granules alongside a herbal compound of mallow, yarrow and St. John’s wort flowers to gently remove dead skin cells and impurities. The soft plant granules dissolve in the peeling process so they don’t irritate or scratch the skin. 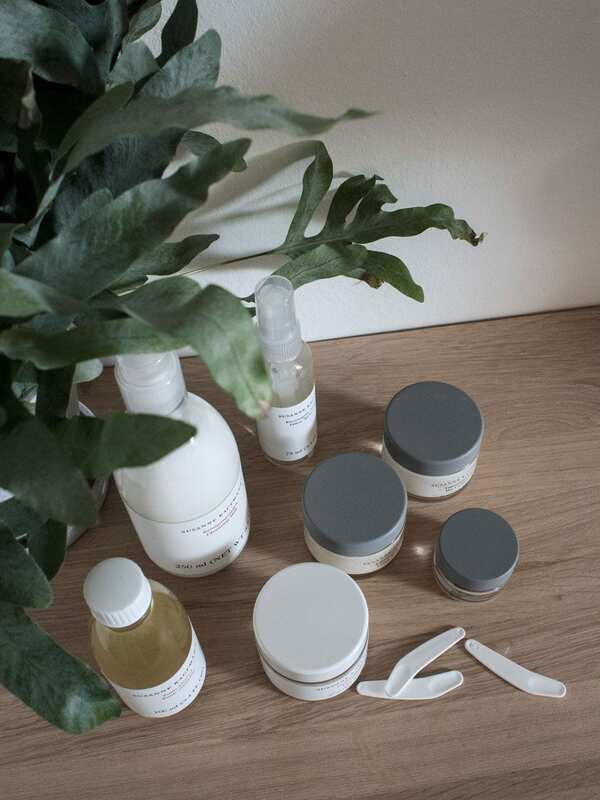 After Andrea had removed all the dead skin cells and impurities from my skin, she started to give it some much needed revitalisation. Initially, she used the first ampule from the Pollution Skin Defense System, vitamin C. The vitamin C ampoule contains a serum that improves the skin’s own ability to fight against free radicals and at the same time detoxify the cells. This is when things started to get really interesting. 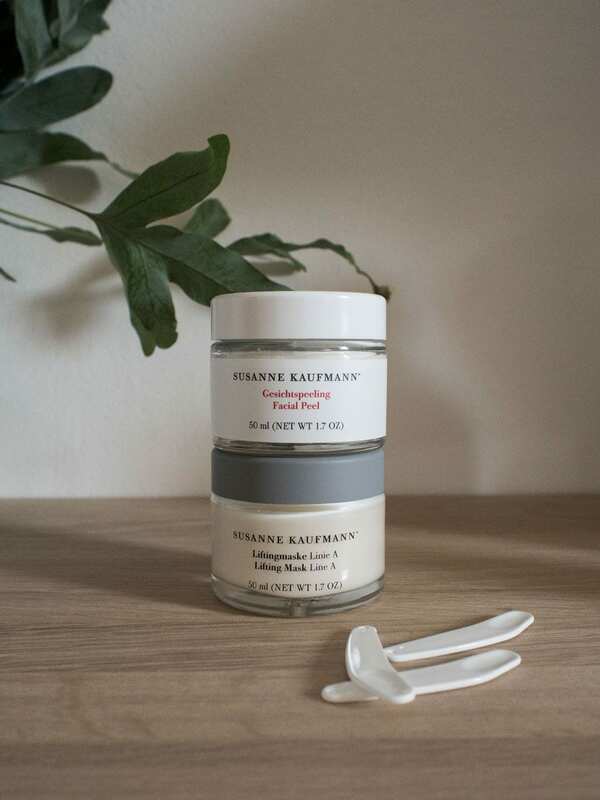 The massage techniques that they use at Susanne Kaufmann are just as important as the products they create. Their products are fantastic and I would wholly recommend using them at home but you will struggle to replicate their massage techniques. For this reason I would suggest you go in and experience a facial with them. The first massage I received was a fascia massage. It’s not the most gentle but the effect is a complete release of tension in the face muscles. Andrea then moved on to a lymphatic drainage massage, to increase the flow of lymph from the face and help remove toxins from the skin. She followed this with the ultimate scalp massage to further release any tension. This is a brilliant treatment for anyone looking for a relaxing facial treatment, not all leave you feeling as refreshed and tension-free as this one. Andrea then applied the second ampule from the Pollution Skin Defense System, ectoin which stimulates cell regeneration and strengthens cell protection. This was followed by their Lifting Mask Line A which was worked deep into the skin with another gentle face massage. It’s one of their most active anti-ageing products, containing more ectoin, fermented white lupin blossom extract to firm up the tissue, pure bioflavonoids to fight free radicals, and argan oil as its base which has a strong antioxidant effect. This all results in a strong, smoothing and lifting effect. After about 10 minutes the mask was removed and the the third ampule from the Pollution Skin Defense System was applied, the powerful Q10 serum which stimulates collagen production. This was followed with Day Cream Line A and Eye Cream Line A, both of which also contain ectoin, fermented white lupin blossom extract and pure bioflavonoids. The Day Cream Line A also contains silk proteins which provide the skin with a great deal of moisture and form a protective film. 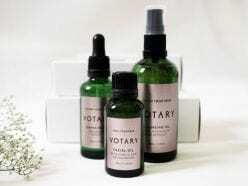 Whilst the Eye Cream Line A contains, in addition, elderberry extract to reduce swollen eyes. Unusually it can be used all over the eyelid (many aren’t). To encourage the absorption of the products, jade rollers were used across my face, neck and décolletage. 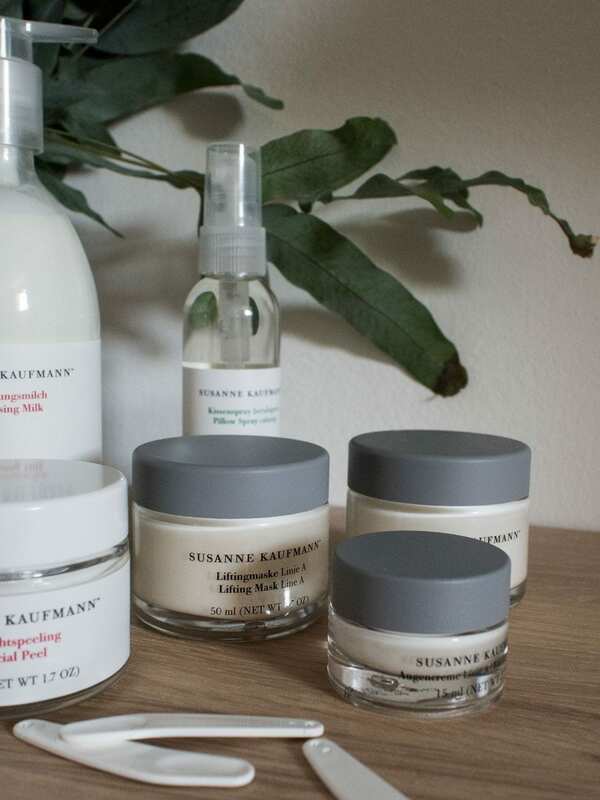 The next time Susanne Kaufmann are at Liberty London make sure you book a treatment, just please leave me a slot! They take place every two months, the next ones will be from 25thNovember – 1st December. 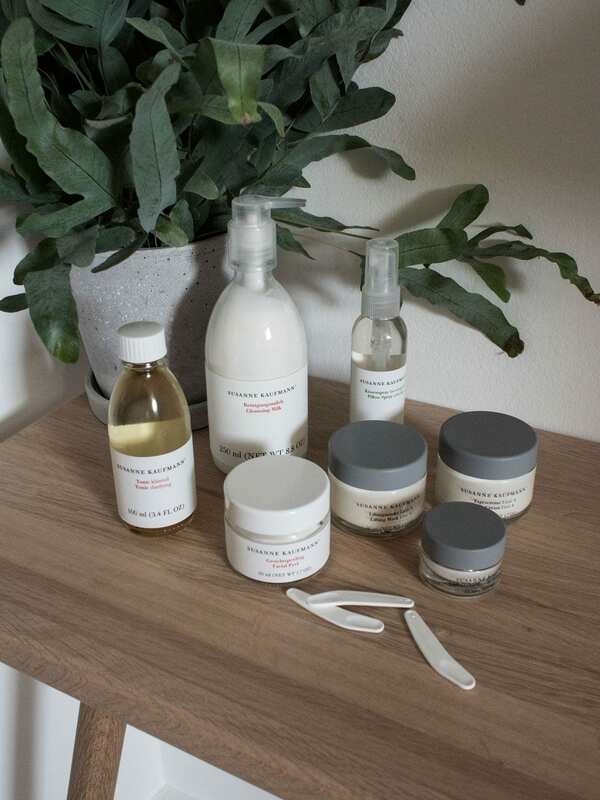 Alternatively, if you happen to be taking your next holiday at the beautiful São Lourenço do Barrocal in Portugal they offer Susanne Kaufmann treatments. 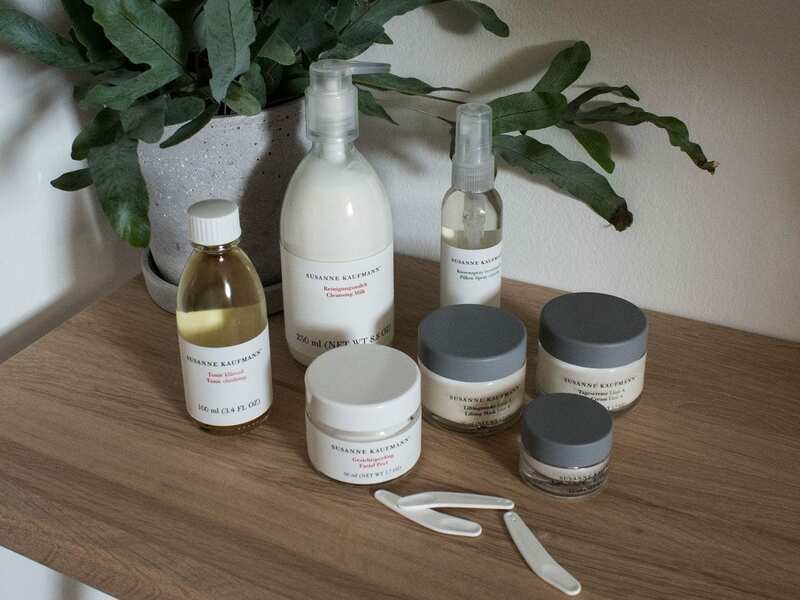 And, if you’re planning a retreat for the new year I’d recommend Hotel Post Bezau in Austria (where the Susanne Kaufmann brand began); you can incorporate a Bespoke Rejuvenating Facial into your experience. I’m hoping I’ll get the chance to visit and write about both in the coming year. This post was created in collaboration with Susanne Kaufmann. I only feature brands and businesses that I truly love and believe fit my ethos. All thoughts and opinions expressed are my own.